Amanda has been wanting to get back into the mountains for a while, so that’s where we went this weekend. 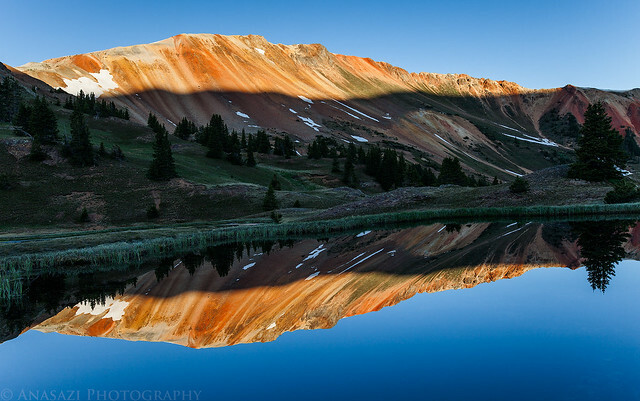 Saturday morning we left the heat of the Grand Valley behind and drove up into the San Juan Mountains. 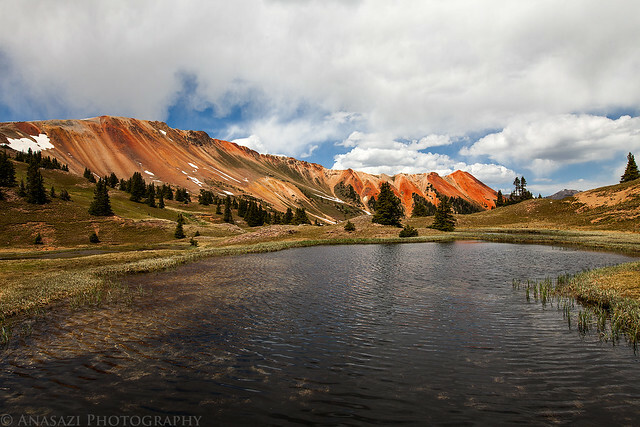 Back in 2009 I visited an area called Gray Copper Gulch situated between the Red Mountains and Brown Mountain. I have wanted to get back up there again to take some new photos and figured this weekend would be a great time. 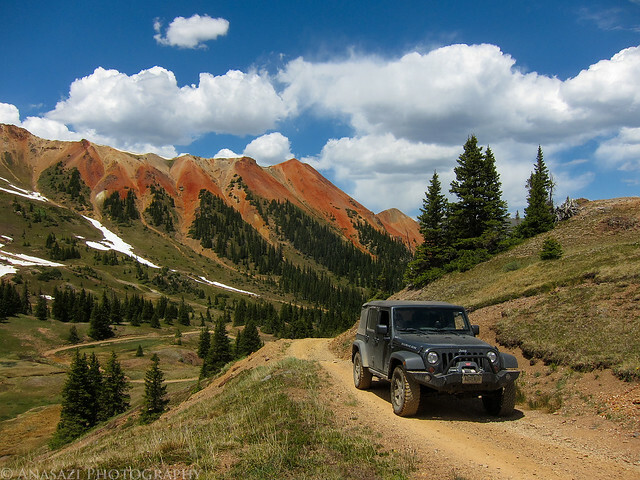 After driving through Ouray we drove over Corkscrew Pass and then into Gray Copper Gulch. 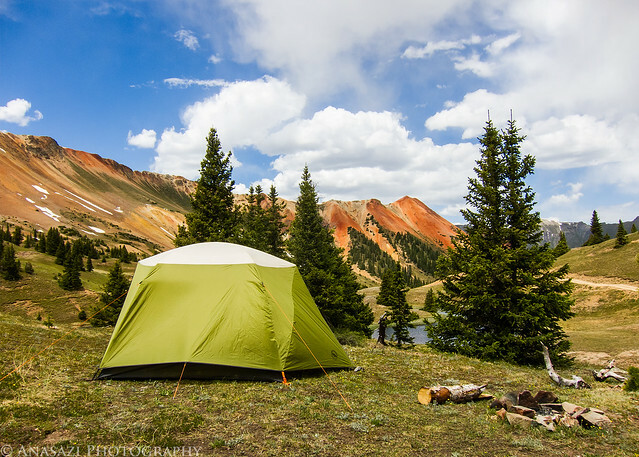 We found a nice campsite between a few of the ponds that I wanted to photograph. 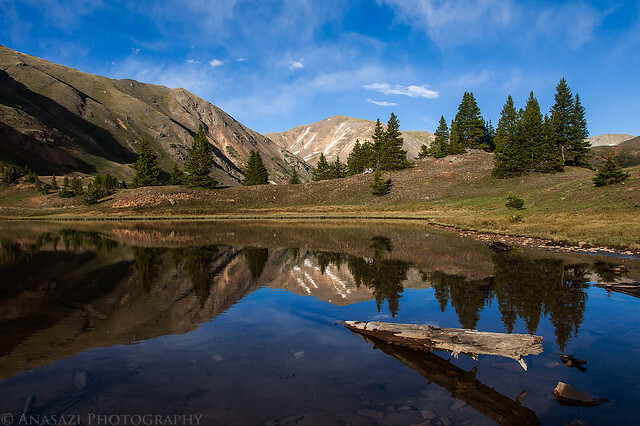 When we arrived in Gray Copper Gulch, clouds were rolling in and the wind was blowing pretty good, as you can tell from the ripples in the water. Camp setup with Red Mountain #1 in the background. 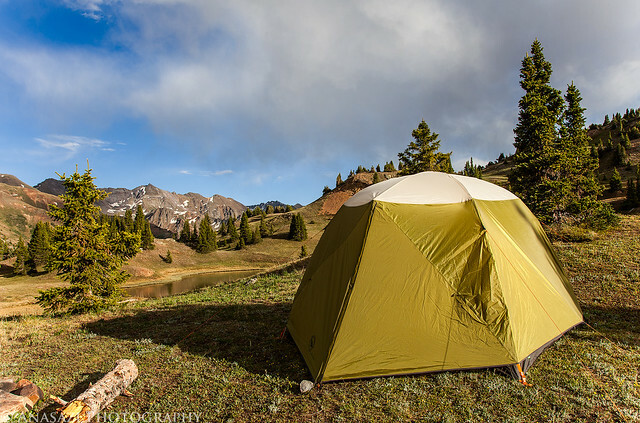 Once our camp was setup we left Gray Copper Gulch to drive a few of the high passes in the area. Headed up the road to Hurricane Pass. 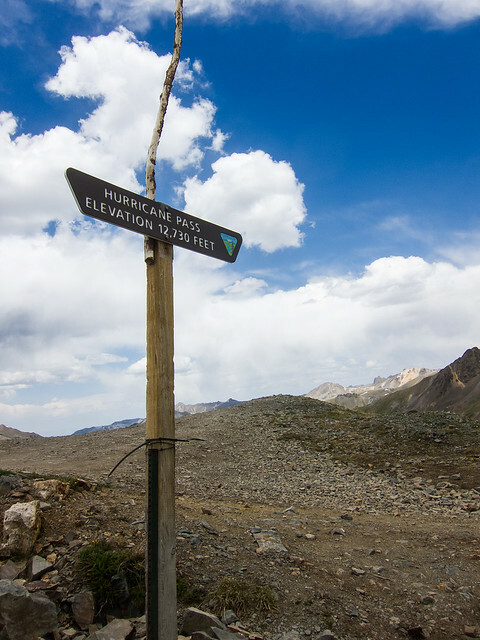 Hurricane Pass, Elevation 12,730 feet. 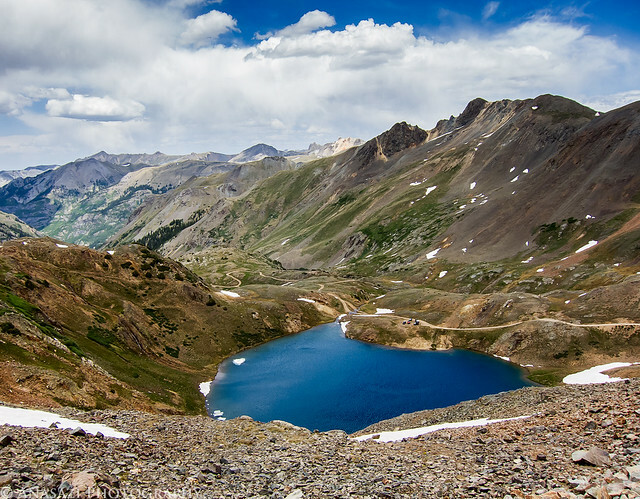 A view down on Lake Como on the other side of Hurricane Pass. After dropping down a little ways from Hurricane Pass, we quickly started climbing back up to California Pass. 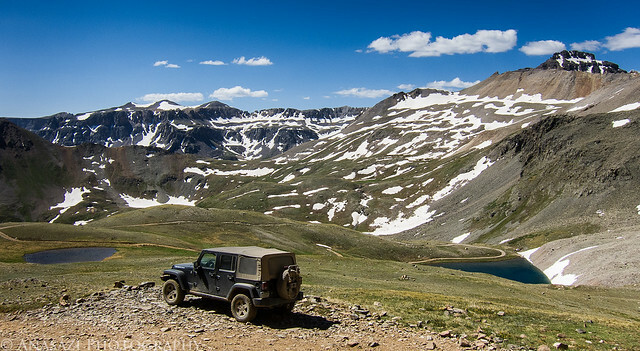 My Jeep parked at California Pass, elevation 12,960 feet. 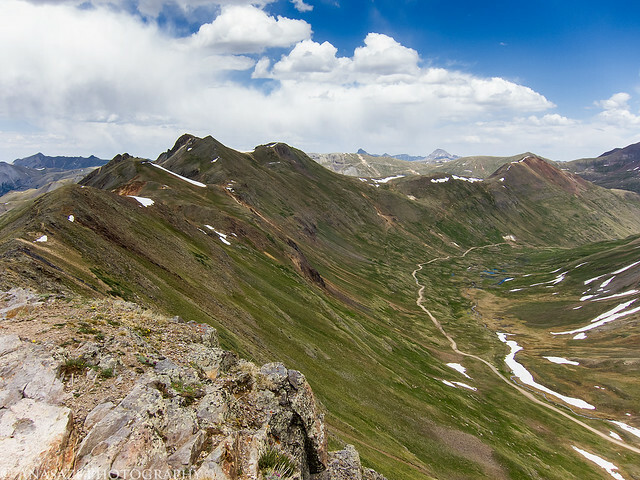 The view down into California Gulch from the pass. 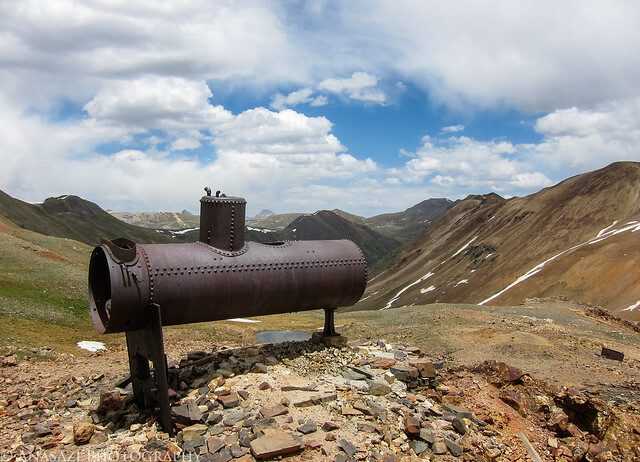 I stopped to photograph this old mining relic as we dropped down into California Gulch. 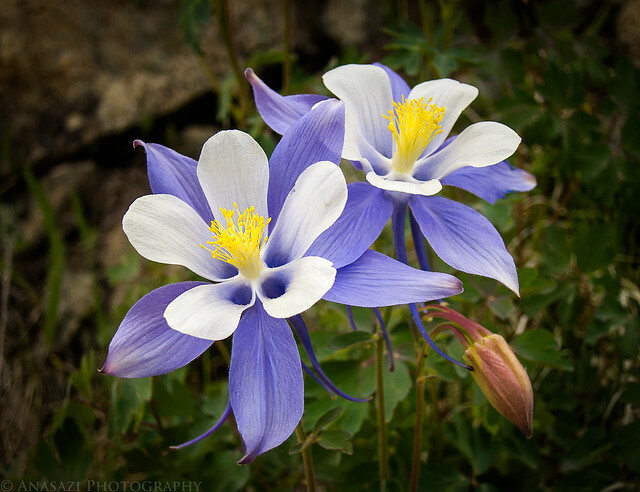 There were patches of Columbines along the road as we got closer to the ghost town of Animas Forks. 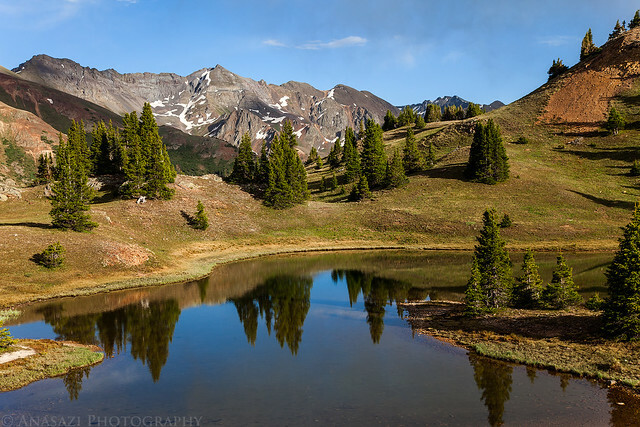 Since the sky was completely overcast when we reached Animas Forks we didn’t stick around long and continued on to Silverton. 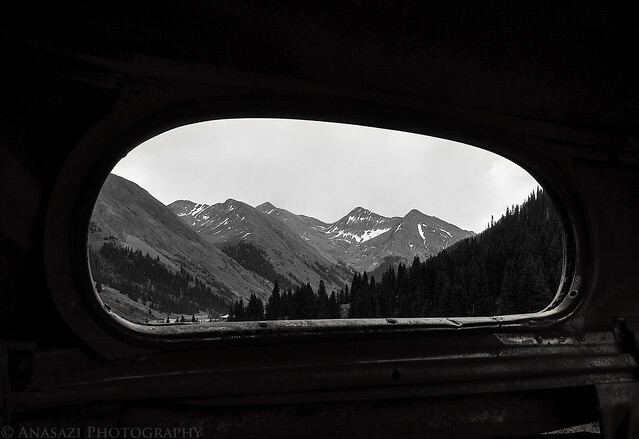 A view out the rear window of an old abandoned car along the road. 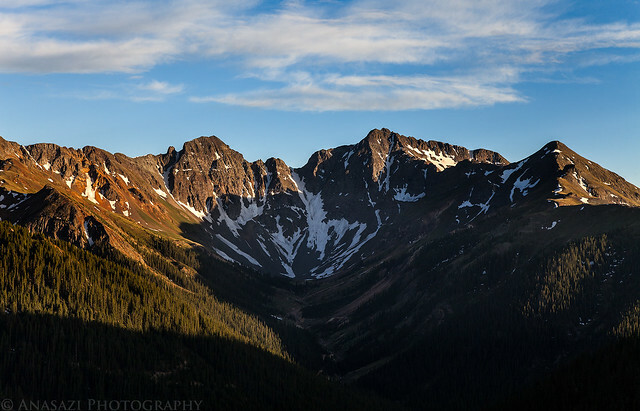 After a nice dinner at Handlebars in Silverton, we drove up Cement Creek Gulch to reach our campsite again. The late afternoon light was much nicer when we arrived. 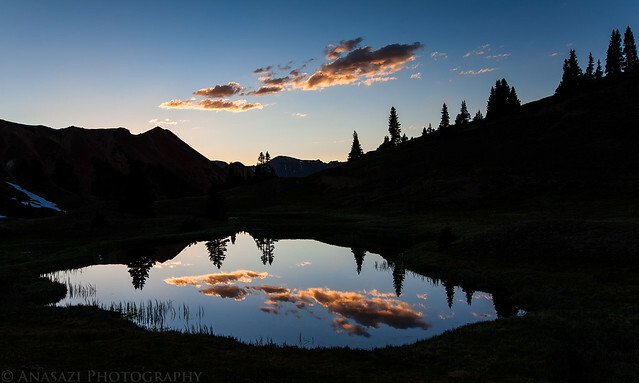 Since the clouds had finally started to clear out and it was getting close to sunset, I spent the rest of the evening hiking around Gray Copper Gulch taking photos. 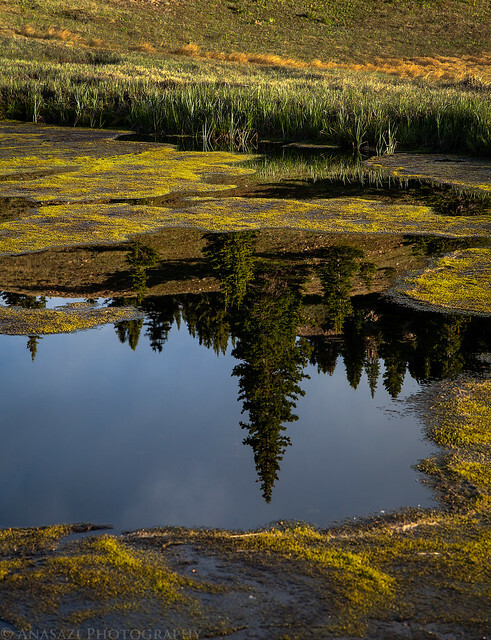 There are a bunch of little ponds here that are great for reflections. 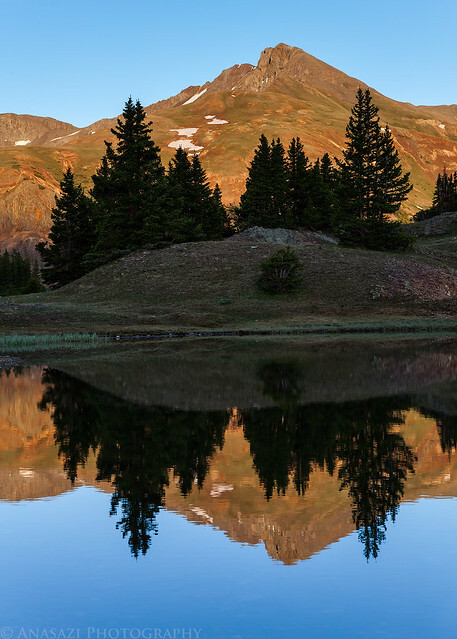 Beautiful view near our campsite in Gray Copper Gulch. Hurricane Peak in the distance. A nice view into Velocity Basin. 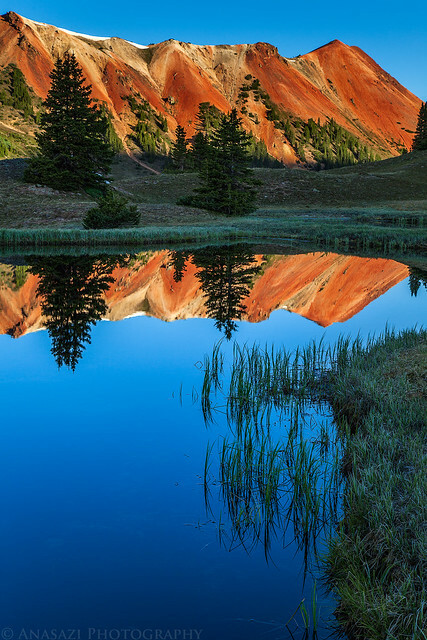 Reflection of Bonita Peak in the distance. The last reflection of the evening before I went to bed. When the sun was fully up we had some breakfast and broke down camp. Then we drove back over to the highway over Corkscrew Pass. 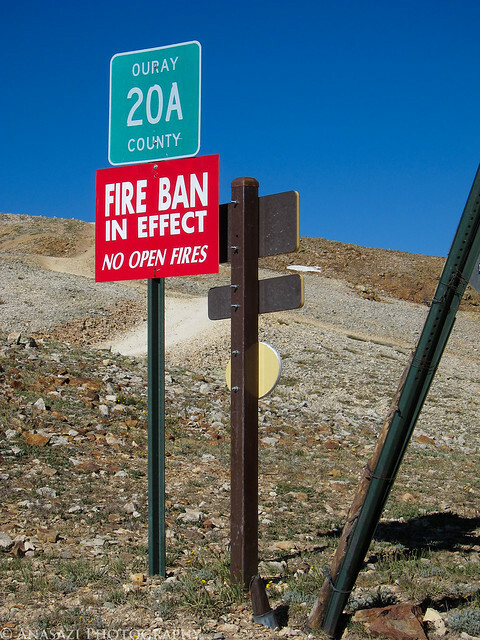 Fire Ban. A sign that we are probably going to be seeing a lot of in Colorado this year. 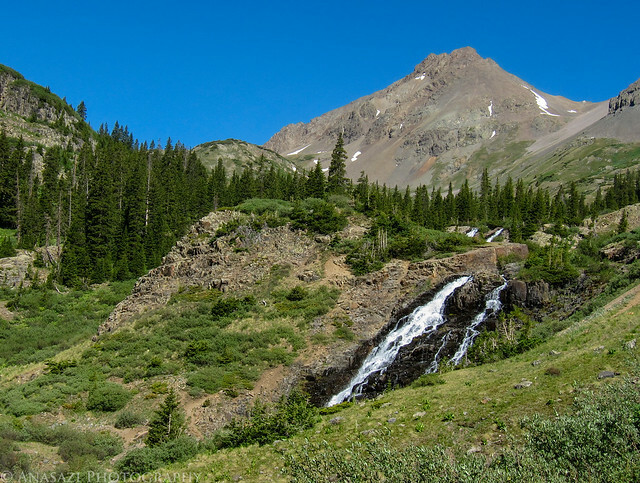 When we reached Ouray again we decided to turn up onto Camp Bird Road and drive up to Yankee Boy Basin. We passed Twin Falls on the way. 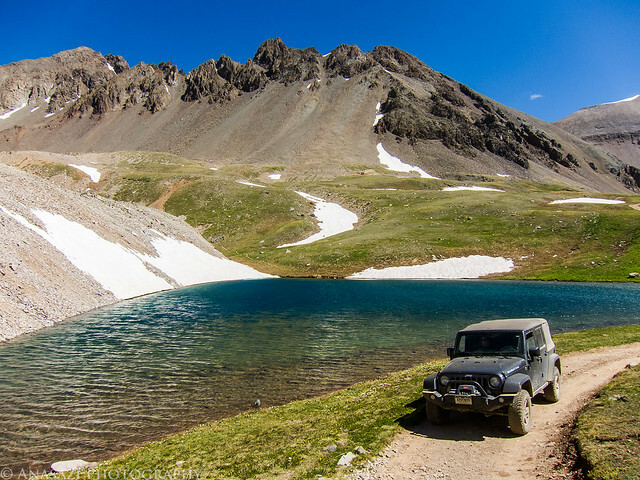 My Jeep at the upper trailhead in Yankee Boy Basin. 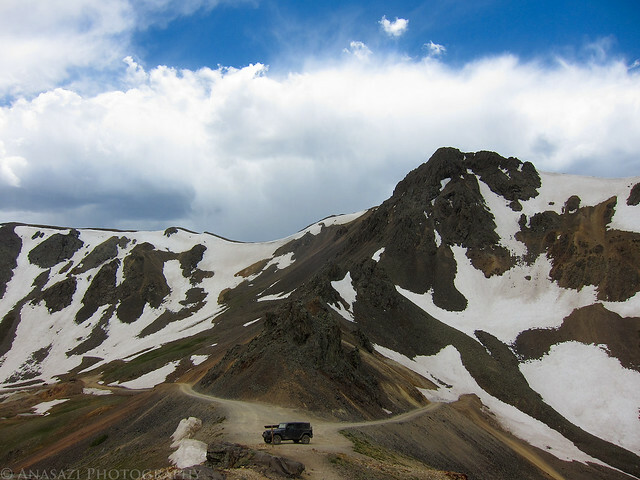 I was surprised to find no one else up here since there’s usually a few vehicles parked up here for the hike to Mount Sneffels and Blue Lakes Pass. 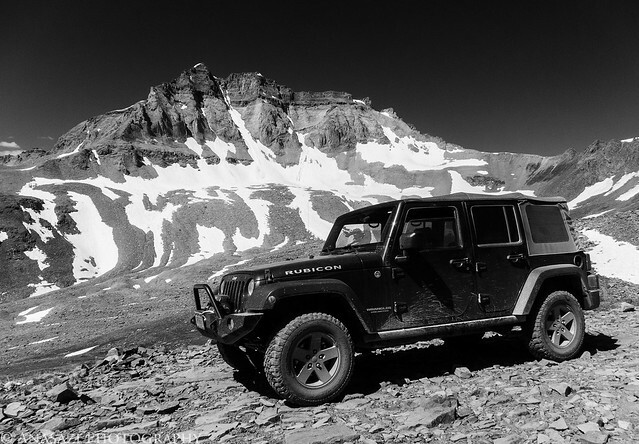 My Jeep under Gilpin Peak. We drove down by Wright’s Lake on our way back down to Ouray. 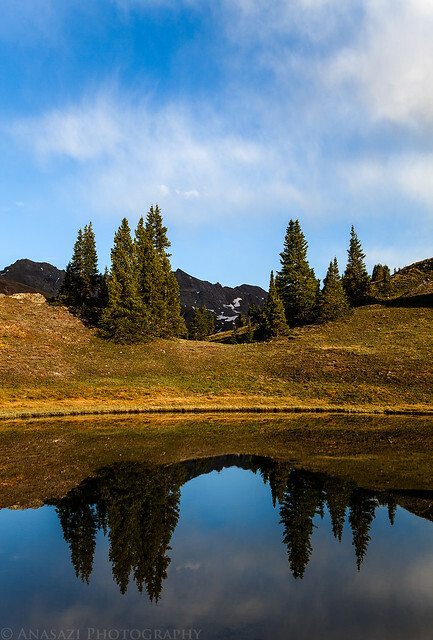 After driving back down to Ouray we continued driving all the way home. 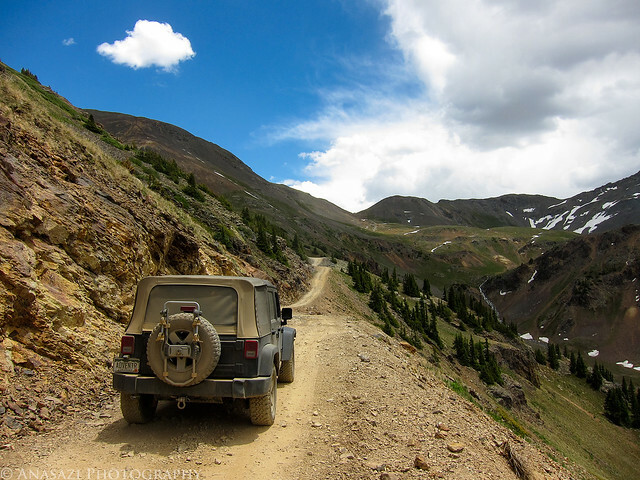 It was a nice relaxing weekend that brought me back to how it all started for me; exploring the backcountry in my Jeep.